In total disrespect of the graveness of Good Friday, some pictures of things that look like each other. This is supposed to be funny. 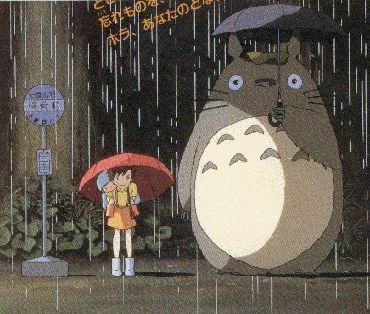 This picture is from the movie "My Neighbour Totoro" by Hayao Myazaki from Studio Ghibli. I haven't seen this one, but I've seen lots of other really good Studio Ghibli-productions. They're worth checking out. This is a picture I took the last time I was in Copenhagen. Striking similarity? I was reminded of Totoro, anyway. 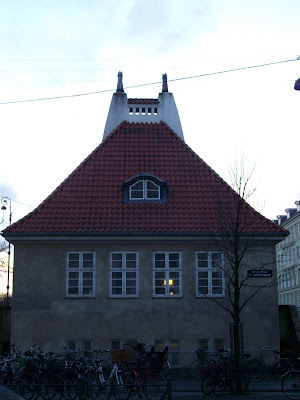 Actually, it's not too rare for buildings from the beginning of the last turn of the century to look a bit like faces, masks, animals etc., or have parts that do (like the Batman house I've written about earlier). I this feature is quite charming; it seems to give them a sort of personality and life of their own. Haha :) Digger det. Digger filmen også, forsåvidt.